Her first novel. 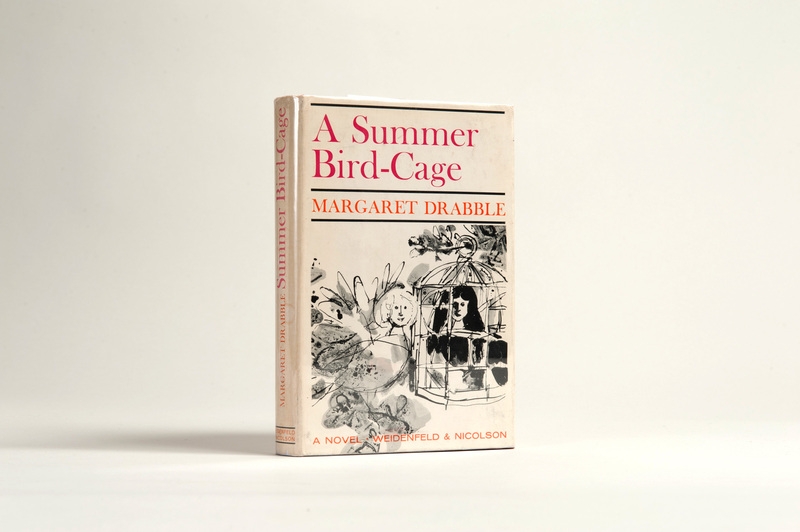 An early exploration of what was to become a major feminist issue, Drabble’s heroine believes she can choose both marriage and child rearing, on the one hand, and her pursuit of a satisfying career on the other. The book concerns the lives of two sisters intent on making their way in the world, impeded both by social convention and by their own unresolved tensions. 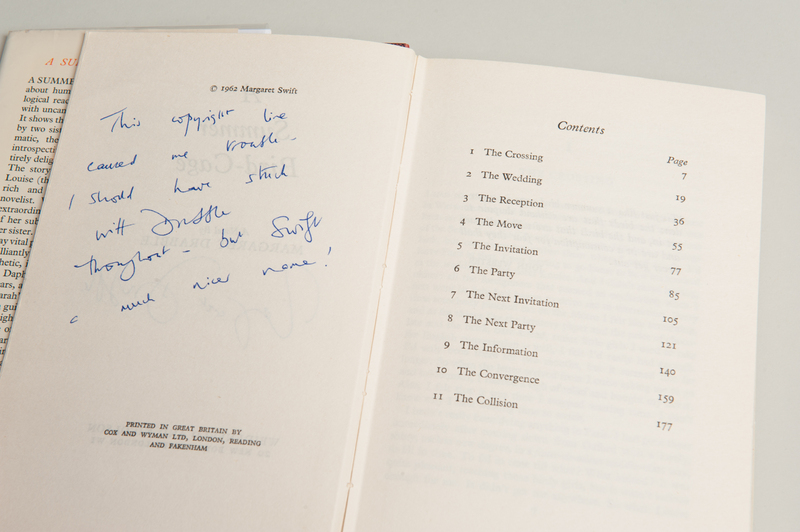 Margaret Drabble was awarded the 2011 Golden PEN Award by English PEN for "a Lifetime's Distinguished Service to Literature". Annotated on 19 pages. Approximately 215 words. 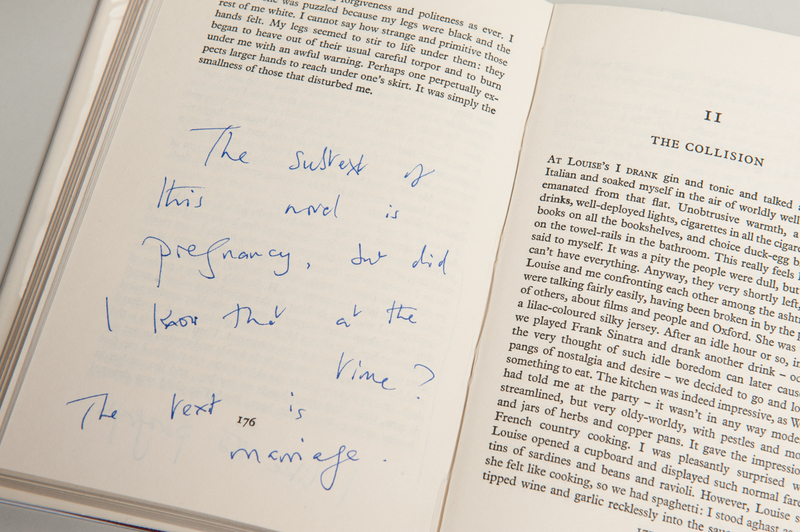 The subtext of this novel is pregnancy, but did I know that at the time? The text is marriage.